It's actually quite a while since I watched this film in full. Given this film is one of my top ten Jesus films this is perhaps something that needs addressing soon. Anyway, as a result this scene guide may have one or two omissions, although I think primarily it is extra-biblical material that is excluded. Scripture citations follow the normal format. FWIW, I reviewed this film back in March. 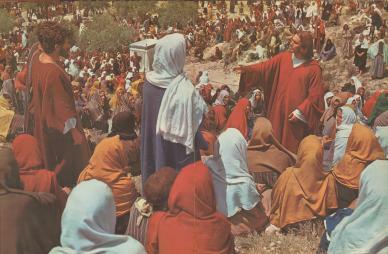 This is one of the few films that actually shows how Jesus involved the disciples in spreading his message. The final scene before the interval is Jesus commissioning the twelve shortly after the Sermon on the Mount. It's an interesting juxtaposition of the two blocks of teaching which Matthew's gospel (the nearest literary parallel) separates by several chapters. In the film, it's as if Jesus is saying "this is the basic information for the masses, and now this is the real meat for my closest followers". 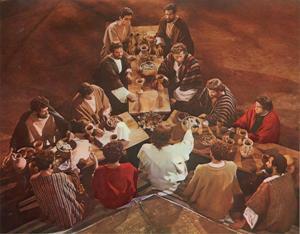 One of the most notable set design features of the film is the Y-shaped table at the Last Supper. It's an interesting prop which is surprisingly discussed. The initial decision facing the film-makers at this point is whether or not to mirror Leonardo's famous painting, as this is the definitive artistic image of the Last Supper. However, in most cases, where a Leonardo derived composition has been rejected, a more modern arrangement is taken with all the disciples around two or more sides of long tables. It's noticeable for example that Jesus films never show all the disciples eating at separate tables all within the same room, even though John's gospel happily accepts Jesus did not treat all his disciples equally (John 13:23-25). Almost without exception the disciples are pretty much treated equally. However, film-makers are also at pains to visually highlight the other-ness of Jesus, so, as far as I am aware, no film-maker has ever located the Lat Supper on round table as per King Arthur - in fact Jesus is always seated centrally, even though that is only assumption based on traditional Christian Art and the assumptions drawn from our culture. Ray's Y shaped table is interesting then as maintains the centrality of Jesus, whilst being strikingly anti-Leonardo. Visually it is like three arrows all pointing to Jesus in the middle. Whilst this book is part of the harmonising tradition, it is almost entirely based on the synoptics. Only three references from John feature in the entire 3 hours; The teaching about the good shepherd, the appearance to Mary Magdalene at the tomb, and the woman caught in adultery. Furthermore although this last episode is taken from John, it is excluded in many early texts of John, and included in some early texts of Luke. 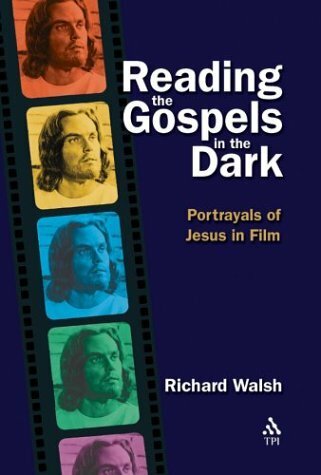 In "Reading the Gospels in the Dark", Richard Walsh devotes a chapter to this film comparing it to the Gospel of Luke. It's an interesting comparison, although I am not entirely convinced as the major point of comparison appears to its function. From the point of view of form, the centrality of the Sermon of the Mount is difficult to ascribe to any of the canonical gospels. 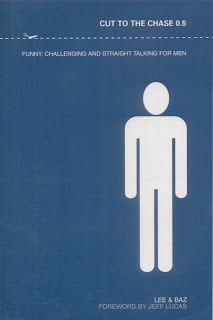 The book's cover is based on an image of actor Jeffrey Hunter though. 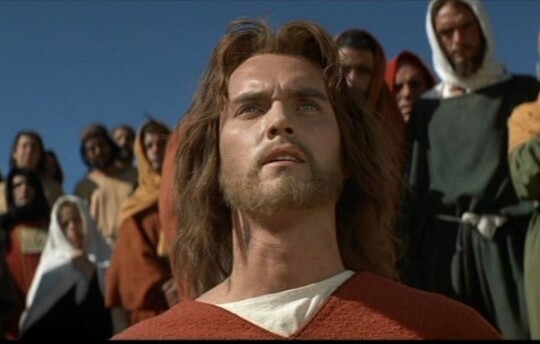 Lastly, It is noticeable that Jesus spends so little time on screen. Peter Chattaway has done some serious analysis on this, which is reproduced in the second half of this post at the Arts and Faith discussion forum. Wow never heard of that until now. There are lots of Faith and Film books, but this one sounds disticntly different. Do you own it? If so, what's it like? * Includes a concise, helpful explanation of what the Spiritual Exercises are, and how to make them. BTW, nice Da Vinci Code review! Thanks for the extra info. Crystal. 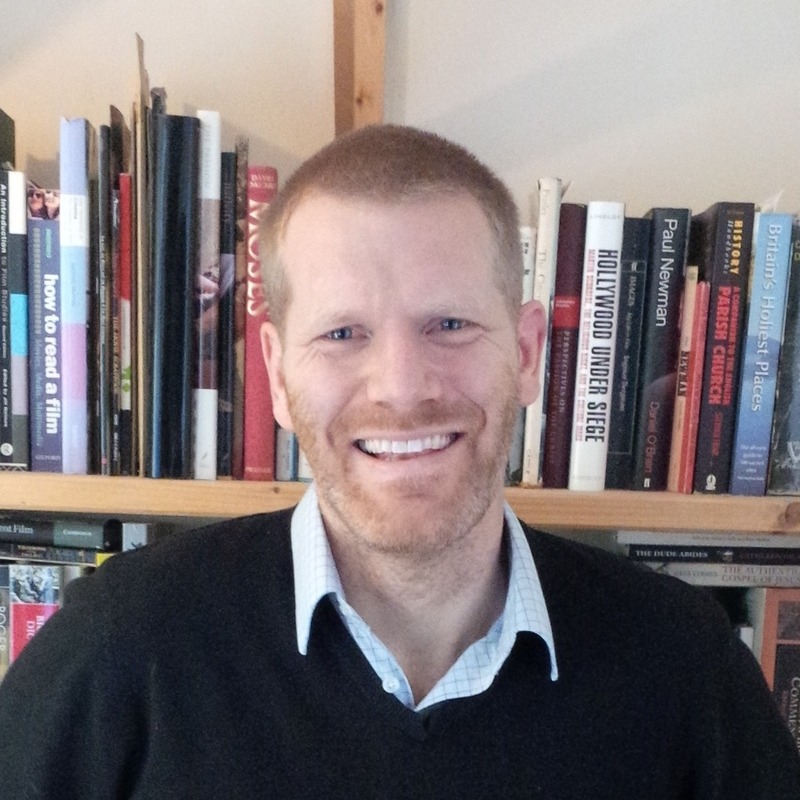 There's a bit more on the publisher's website. It's interesting that Bowling for Columbine is included as I've heard most of the others talked about in relation to examining our faiths, but not this one in this way. I'd be keen to know what they say. Is it just we should be politically active, or do they find another level of meaning? 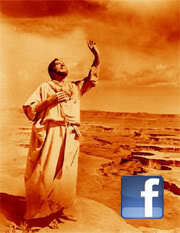 I'm thinking K of K was filmed here near Palm Desert, Ca, in a place called Joshua Tree. Some locals remember that. Sure looks like "home" in the screening. Sad to note so many have passed away, especially the gifted young lady who played Solome. Frank Thring was one of the world's best actors. He bought alot of screen time while the cameras churned just taking his time walking from throne a few slow steps. In Laser Dics days, I had the ability of copying this movie to videotape, pausing most Roman battle scenes and the Barabbas theme, and winding up with a purely Biblical account of high value. -bill. In my edition of "King of kings"
denial and Trial before Pilate. but I don't have that scene. You may have spotted an error. This film was one of the first to hold the Romans almost solely responsible. And Both Tatum and Stern >et al. both omit this. So in all probability it's an error. I'll have to check and amend the post if it's so. Thanks for your sharp vision! from 1959 version of Ben-Hur. I loved this movie sooooooooo much when I was young. When I was 6 years old [9 years ago] I would always watch this movie. But one day my brothers hid it from me and I never Saw it again. Well at the age of 15 there's still plenty of time. I didn't see it until I was about 25. Well worth digging out if you have time.